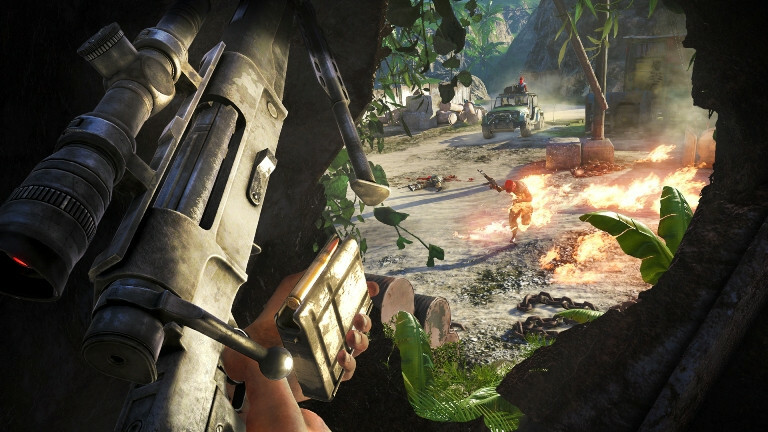 Ubisoft Montreal team finally has revealed details about Far Cry 3 at Gamescom. 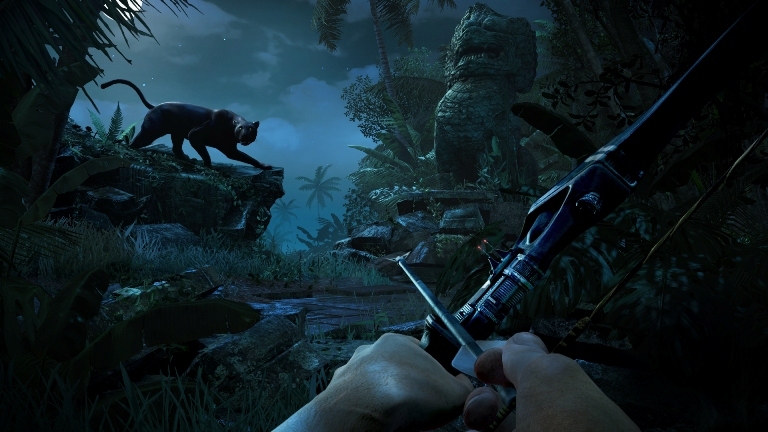 At the presentation of the game, producer Dan Hay told how to hunt buffalo, catch a shark on fishing and start a fire in the jungle. Also the players have almost open and free world slightly bounded by the storyline and scope of the island. You can discover new island areas from the radio towers, like in Assassin’s Creed, or just exploring the jungle. During traveling the island, the player can found enemy bases, which, after the victory come under the rebel’s control. For each such victory we obtain new types of armor and weapons. AI has become much more interesting: wild animals can peacefully hunt far away from the camp, but also can attack simple inhabitants; the Allies can go raid or reconnaissance or just lie in their hammocks and do nothing.